April is designated as the Month of the Military Child – a time to honor the sacrifices made by military families with an emphasis on the experiences of the dependent children of military members. We were excited to welcome 30Seconds contributor, Alex Bryant, as our Twitter chat guest to talk about this! As an Emmy®-award winning Social Media Manager for ACM SIGGRAPH, Alex Bryant carries years of experience within graphic design, social media and television production spread across multiple mediums, and was named a distinguished Oprah Winfrey ambassador. Alex shared how to recognize, celebrate and support military families and their children for the daily sacrifices they make and the challenges they overcome. Q. Do you have some fun facts to share about Month of the Military Child? Thank you for supporting Month of the Military Child! Did you know that more than 1.7 million children under the age of 18 have at least one parent serving in the armed forces? According to Military.com, because purple is a color used to represent all military services (Navy, Air Force, Marines and Coast Guard), the theme "Purple Up" is used for the month of April. All the branches colors make purple. Did you know the dandelion is the official flower of the military child? The plant can grow almost anywhere plus is a survivor in a broad climate range. Military kids blow everywhere the winds carry them to new adventures, lands plus friends. According from statistics by the Military Child Education Coalition (MCEC), military-connected youth are in every zip code in the United States. Q: Since 1968, April has been celebrated as the Month of the Military Child. 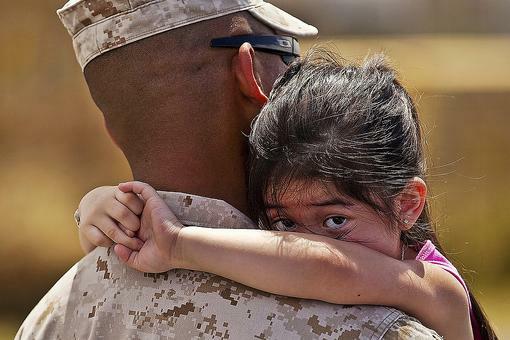 What does it mean to you to be a military child? Being a military child have been one of the greatest honors, experiences and opportunities of a lifetime. I am grateful to have my dad as one of my heroes and the role in protecting the freedoms we have today. I think it’s essential for military kids to have an understanding of what their parent(s) occupation plus it’s meaning to serve in the military. Though military kids may not comprehend at a young age, after time, a greater appreciation will develop. ‪Unlike most civilian jobs, active military parents are on call 24-7. 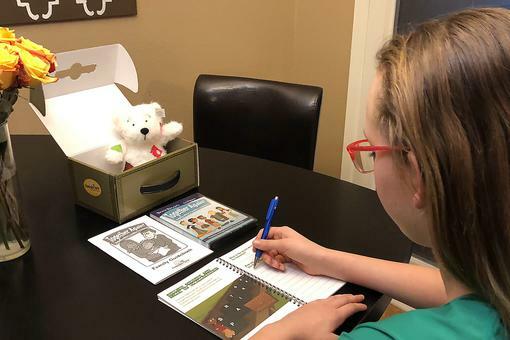 In times of threat, it’s not uncommon for military kids to wake up and find out that their serving parent has been called away to an unspecified place for an unspecified period of time. Children don’t choose to be military kids. It’s a lifestyle a military child appreciates over time with the unique experiences each child endeavors. Q: What have been some of the biggest challenges you face as a child of the military? Moving is a necessary and inevitable part of military life. I’ve moved a few times as a military child, like RAF Mildenhall in Great Britain, Offutt Air Force Base in Omaha, Nebraska, and Dyess Air Force Base in Texas. The process was inquisitive, emotional, but, in time, rewarding. Switching from British schools to American ones also caused obstacles for my academic career. Like repeating 9th and 10th grades and learning a completely new educational curriculum took some time to become familiar. Grown up mainly in the U.K., learning how to drive in the U.S. was a challenge. However, I picked up quickly from the Drivers Ed by my mum, June Bryant, who had driven in cities like New York City, Los Angeles, Atlanta and Chicago. There were times when my dad, who served, had scheduled plus unexpected deployments, which created occasions to be raised by a single parent. I recommend educators, neighbors plus friends to check in on military kids when these events occur. Q: Tell us about some advantages you have experienced as a military child? The positives of making friends as a military child is having a global network of friendships who also experienced a military upbringing. Through technology, keeping in contact is made easier with social media applications plus video-calling apps. While a PCS (Permanent Change of Station) or military jargon for “moving” can be a challenge for a military child. Traveling to a new place can benefit the development in a person’s character, being openhearted plus minded toward new cultures plus people. While some military kids continue the tradition to serve in the armed forces, my military-child experiences helped my career in the entertainment and advertising industries. As a military child, I am constantly reminded to cherish the moments because none of them would be possible without the dedication and service of our military members like my dad, who served the Air Force for 22 1/2 years! Q: Can you share on the advice you would have for younger military kids and to non-military children? Build a scrapbook to share with a serving military member (sibling/parent) while on deployment. Pay close attention to special occasions like birthdays plus education functions and family events. Some military kids have been to more locations in their short lives than most other people in their entire lives. From cross-country PCS moves to TDY assignments, make sure to travel off the military base enrich experiences in the culture of your local area. Become involved by volunteering at your school club, local youth center or helping a nonprofit on a cause that is close to your heart. This brings an increase in awareness, kindness and makes moving easier if the activity also resides in another location. Your unique experiences, disciplines and thoughtful perspectives from your military life will bring valuable insight into classroom discussions and projects. Some schools have military child Student 2 Student® (S2S™) programs to bring together military and civilian students to welcome new students, create positive and safe environments, mentor academic excellence and ease transitions. Q: How can the general public support the children of the military and their families? Sharing awareness about military child experiences in person and on technology helps to protect your lives around the world, especially each year for Month of the Military Child. My latest 30Seconds post from Comfort Crew co-founder Trevor Romain explains ways to build resilience in military kids, as well as resources for kids dealing with divorce, loss of a loved one, PTSD, bullying and more! 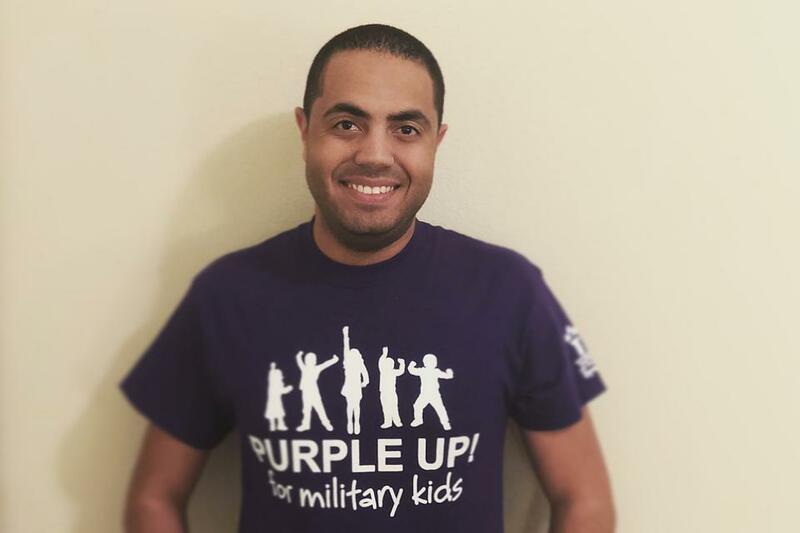 Purple Up in April, especially on April 10, by wearing purple attire to honor the sacrifices made by military families with an emphasis on the experiences of military kids of the military members serving at home and abroad. I look forward to chat with our 30seconds community in honor of Month of the Military Child. Very excited to chat with you, Alex Bryant ! Excited and honoured to chat with you, Elisa All Schmitz 30Seconds ! Get your questions ready my friend. I would love for you to also share your experiences and insight. It will definitely enhance the conversations with our tribe. Alex Bryant, excited for this chat! Elisa All Schmitz 30Seconds, wish we had #30Seconds 14yrs ago when my husband was deployed to Iraq when I was pregnant with an almost 2 yr old. He was Army Company Commander in charge of 150 soldiers, 227th Transportation Company. Ran convoys from Kuwait all over Iraq when it was at it's worst. We weren't on an Army Base and since he was Company Commander I then the Company Commanders wife was the main contact for all spouses and significant others. What a major undertaking I will never forget and would do again in a heartbeat. Totally agree, Meredith Schneider . I am grateful for the 30seconds platform and community to open needed conversations like this one with tips and experiences to live lives meaningfully. I am a wife of retired AF airman. Mother of 3 boys, one who served in the US Navy. Been through countless TDYs/Deployments. An educator with Parent to Parent Abilene with Military Child Education Coalition (MCEC) And I'm mum (mom) of Alex!! It was hard & humbling being a parent of Military children!! But we got through it!! Excited for chat my 17 yr old is planning on joining the national guard this summer. How to Twitter Chat: 5 Quick Tips to Twitter Party Like a Pro! Month of the Military Child: Honoring Our Youngest Military Heroes With Alex Bryant!